Some of you may remember what tailgating at Tiger Stadium was like the first time you experienced it. It may have been when you were knee high to a pig&apos;s eye or while you were a little older and in college. It is a special kind of memory that is unforgettable. 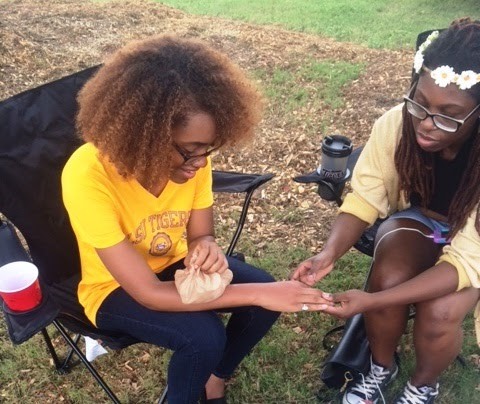 Let me introduce myself, my name is Julie, and I just experienced tailgating for the first time this past weekend at the LSU vs. Sam Houston game. Yes that is right, I have never been tailgating before in my life. Even though I have lived in Louisiana my whole life, I have never had the pleasure of "Callin&apos; Baton Rouge" for a football game. The experiences I encountered this weekend were very interesting to say the least. I witnessed thousands of LSU themed tents, even more girls in LSU colored dresses, more food than is humanly possible to consume (right?) and the pride LSU fans carry with them from tailgating spot to tailgating spot. 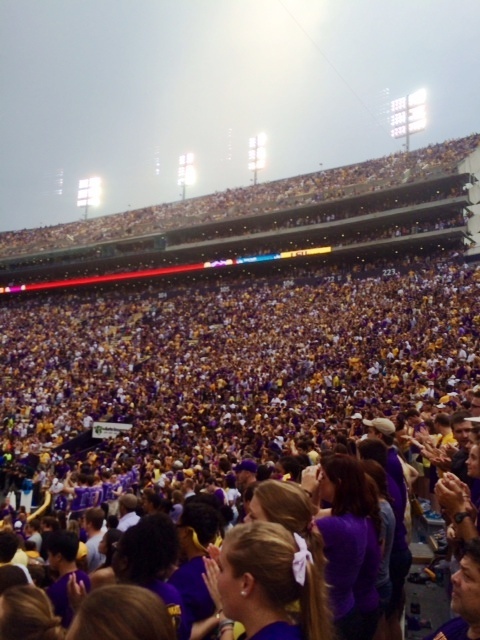 Below are 5 interesting things that happened to me at the LSU game this past weekend. 1. I made new friends. 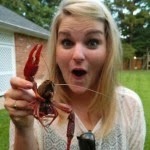 LSU fans are insanely friendly. My friends and I had no idea where to set up camp until these wonderful people told us to set up next to them. Tip: Find people to hang out with that have television, fans and tons of food. 2. I witnessed my friend get burned. When attempting to grill, make sure you actually know how to. My poor friend lit the grill with a little too much enthusiasm and literally got burned. She is okay though, no need to panic! Tip: Use caution when lighting a fire and always remember the "Stop, Drop and Roll." 3. 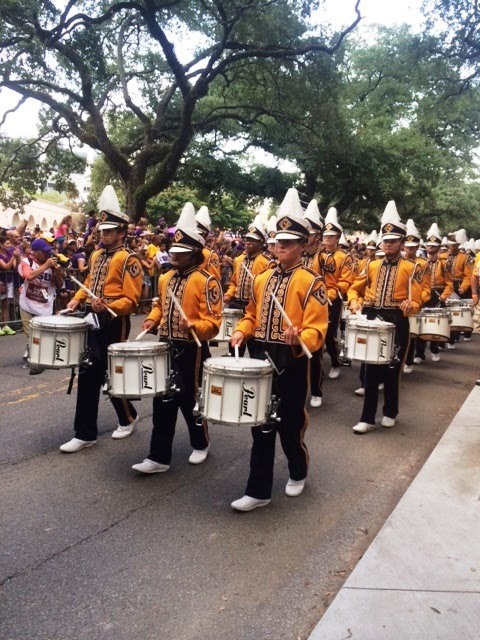 I got major chills when watching the LSU Tiger Band march in the parade. This was probably my favorite experience of the day. Watching the band literally march to the beat of their own drums was amazing and brought chills to my whole body. This is an absolute must-see for new comers and even returning tailgaters. Tip: Get to the parade route early for a great spot. 4. I sat in the student section. Not only did I get to see my favorite Tigers play in Death Valley, but I also got to sit with my fellow students. Believe me when I say, that is a crazy place to be. The students are die hard fans when it comes to the Tigers. Because the Tigers were beating Sam Houston pretty good (56-0), most of the fans decided to leave but oh no, not the students. They remained vigilant and continued to sing and chant until the final second. Tip: Learn the alma mater because it will be sung at least twice. 5. 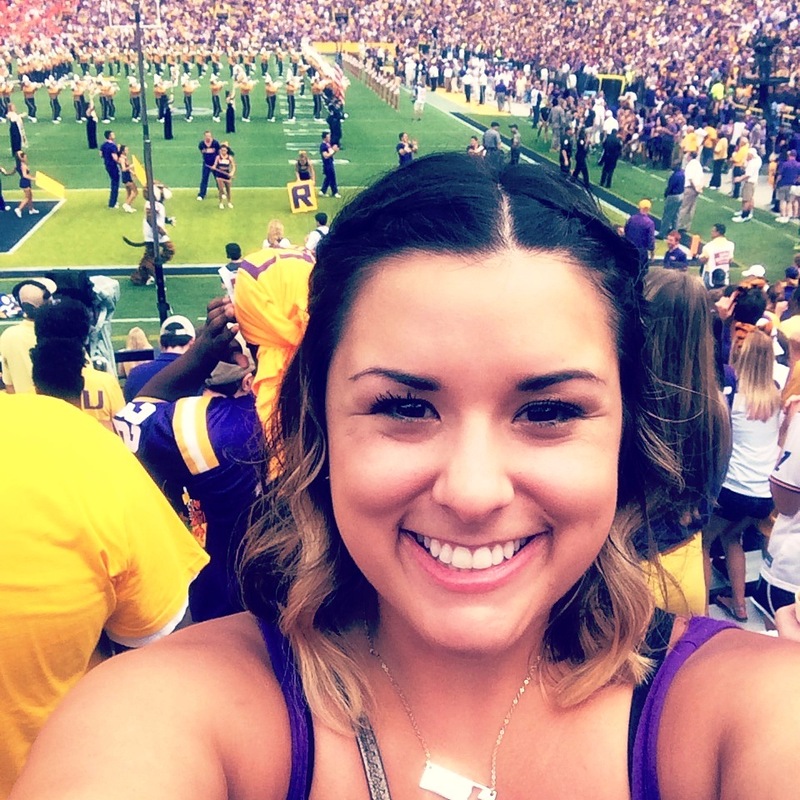 I went to my first LSU game. 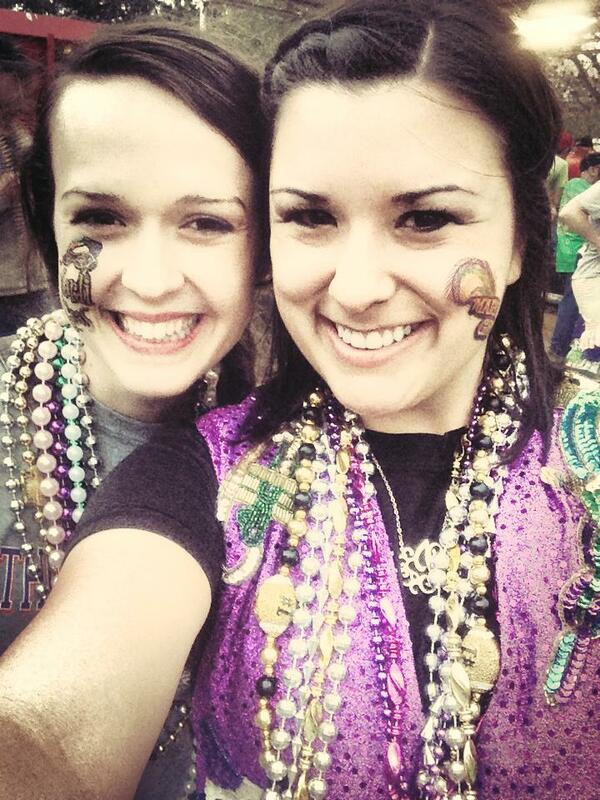 Did I mention that not only was this my first tailgating experience but also my first LSU game? I am ashamed to say that after being a Louisianian for 23 years, along with a Tiger fan for just as long, this was my first LSU game. But better late than never right? Not only was this my first time stepping foot in Death Valley, but I had amazing seats too. The student section really has prime real estate when it comes to seating. Tip: Wear comfortable shoes because you will be standing for most of the game. 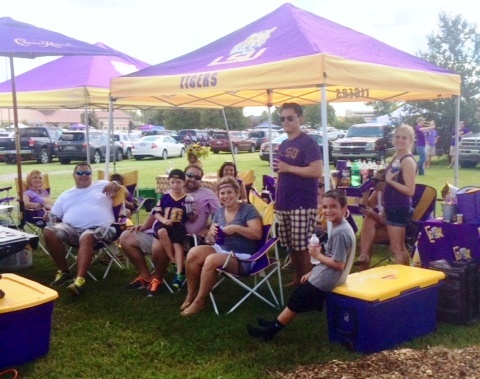 Until next time when I am a pro-tailgater, GEAUX TIGERS!